Spotlight your event! 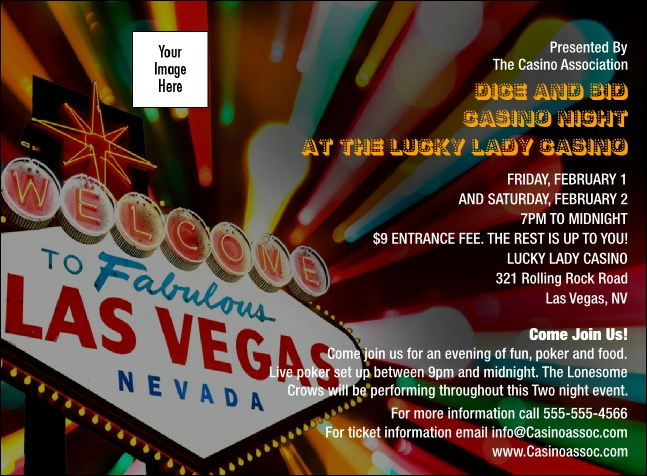 Whether you're hosting an opulent evening in Sin City or a casino-themed fundraiser to raise money for your favorite non-profit, get the party started with the Las Vegas Invitation. Bold, brilliant colors welcome your patrons to your big event with that Vegas panache. Fill in the template below to get started. You don't need luck when you've got TicketPrinting.com.